Daria Kasatkina – the VTB Kremlin Cup 2018 holder! One of the most prestigious WTA tournaments – the VTB Kremlin Cup 2018 brought to Moscow the whole bunch of the shining stars of the world Tennis. 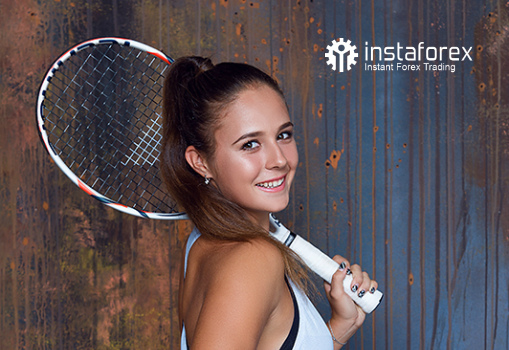 Instaforex Brand Ambassador Daria Kasatkina who has already won the title in 2015 in double together with Elena Vesnina was determined to repeat the success in singles this time. However, the list of players, which included the leader of the world rating Simona Halep, as well as the other top-10 players like Sloane Stephens, Karolina Pliskova, and others was promising a very tough competition. Kasatkina did not have any problems with entering to the second round, however, it was an end of an easy way. In the second round Daria was to meet the French player Alize Cornet. The Russian lost the first set and was close to lose the second one when the help came from her coach – Phillip Dehas from Belgium. Phillip is famous for his motivational speeches and this time he was able to find the right word yet another time. He compared Daria with the great Chinese wall with one change – Daria was supposed to become a Russian wall. This speech helped Daria to get transformed into powerful shellproof wall and beat the opponent in 3 sets – 3:6, 7:5, 6:4. After that Daria had to play against the compatriot Anastasia Pavlyuchenkova and Johanna Konta from Great Britain (Daria won both games with the same score – 6:4, 6:3) and entered the final where she faced powerful Tunisian player Ons Jabeur. The Tunisian player had a fantastic start. The Tunisian won the first set – 6:2 and took the lead (4:1) in the second. Once again the right words from the coach have turned the game upside down. Kasatkina has pulled out the second set on tie-break and secured the victory in a deciding set (6:4) and took the Kremlin Cup. This victory helped Daria to enter the WTA top-ten list! Victories in two WTA tournaments and seven ITF tournaments in singles are among the main achievements. Prior to that, Daria won the Junior Grand Slam tournament (Roland Garros-2014) and became the silver medalist of the 2014 Youth Olympic Games in China. Participation in the Final of the Kremlin Cup-2017 helped Daria to enter the top-20 of WTA ratings. 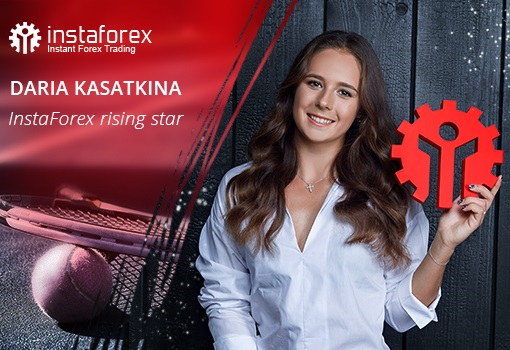 InstaForex believes that Daria Kasatkina will make a brilliant career, firstly because she has the most important сharacter traits for any athlete, namely the determination and amazingly hard-working nature. The match of the first round of the tournament in Rome against the Czech Barbora Záhlavová-Strýcová, is a fascinating example. Daria suffered a severe leg injury, as a result of which she was forced to withdraw from the game. That happened shortly before the legendary Roland Garros, but the coaching staff did not even think about it, saying: “It will be good if you will be ready for Wimbledon.” However, Daria not only strongly insisted in participation in this tournament, but brilliantly performed and gained confident victories in the first two matches.